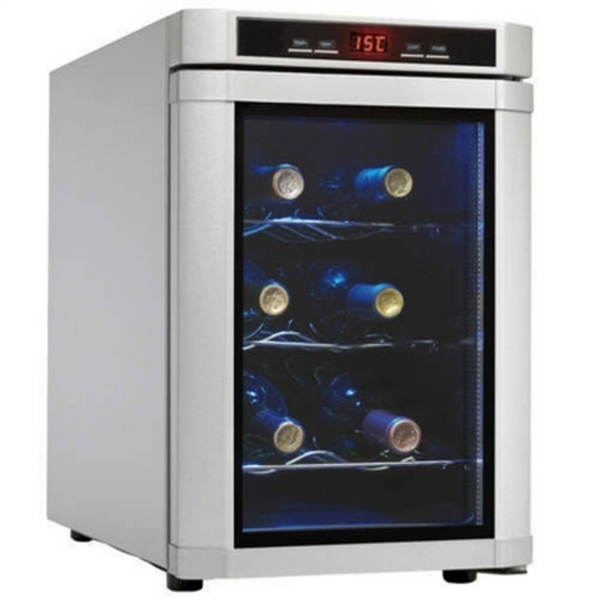 Wine cooler brilliantly stores and displays your wines. 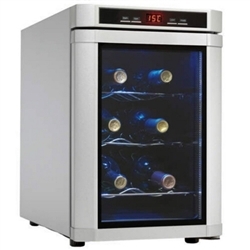 This is for one Brand New 3 Shelf Wine Cooler Danby Maitre D 6 Bottle Fridge LED Thermostat Blue Light. 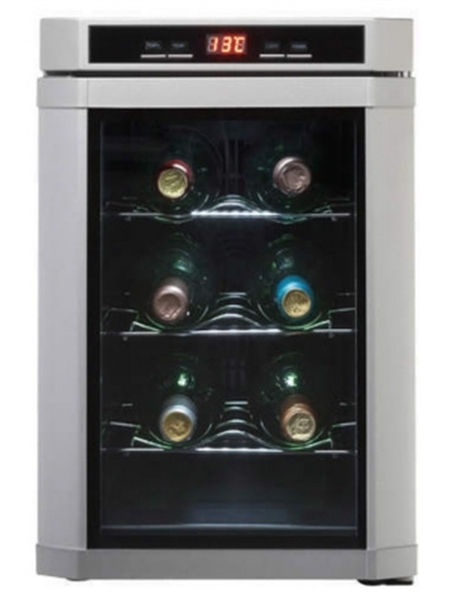 The Danby Maitre'D is a 6 bottle wine cooler using semiconductor technology. With no compressor this unit is virtually silent. Red and white wines are accommodated by maintaining a temperature range of 39F - 72F. An easy to read electronic LED thermostat shows the temperature setting while a blue interior light displays the stored wines. - Shipping weight: 29.1 lbs.